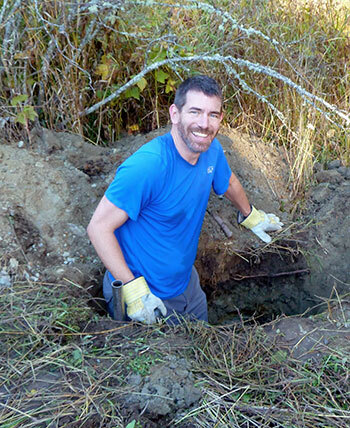 Jason Pither is an associate professor of biology at UBC’s Okanagan campus. As Canada’s vast boreal and tundra ecosystems experience dramatic warming due to climate change, trees are rapidly spreading north. New research from UBC’s Okanagan Campus suggests some of these trees could be getting help from a surprising source: fungi that have lain dormant underground for thousands of years. In collaboration with Brian Pickles, a former UBC postdoctoral researcher now lecturer at the University of Reading in the UK, Pither sifted through research from around the world and across many different disciplines. They found that all the key ingredients to allow this to happen were there. For example, some common types of fungi produce spores with characteristics that should allow them to survive over extremely long periods of time, especially in cold environments like those found in Canada’s vast permafrost regions. While it may seem farfetched to some, Pither says this “paleosymbiosis hypothesis” deserves serious consideration. If upheld, the implications could be significant. The study appears in the June 2017 issue of FEMS Microbiology Ecology and was conducted with financial support from the Natural Sciences and Engineering Research Council of Canada (Discovery Grants program).